The 57-meter-tall Iron Pagoda in Kaifeng built in 1049 still stands as a testament to the Song Empire&apos;s great wealth and advanced technology. The Song Empire (960–1279) was generally prosperous and at the time it was the world&apos;s most powerful empire economically, scientifically, and militarily. However, the Song Dynasty came under constant threat from northern enemies, and after 319 years they were conquered by the Mongols. The Northern Song Empire (960–1127) was based north of the Yangtze River, had its capital in Kaifeng, and was smaller than the Tang Empire. The Southern Song Empire (1127–1279) had its capital at Hangzhou, was mainly south of the Yangtze, and flourished substantially both economically and in population growth. In between, there was a short period of invasion and infighting among rivals before the remnants of the empire arose again south of the Yangtze. As this page has over 5,000 words, you may want to click a link here to move to a section that interests you. The rise of the Song Dynasty (906 – 960 AD) culminated in Emperor Taizu (927 – 976) laying strong imperial foundations. The Northern Song wars (960–1127) ended in stalemate then disaster. The Southern Song Empire (1127–1279) regrouped and had renewed successes (maritime trade and warfare, economic and agricultural development). Song society: The population doubled with extensive urbanization and high wealth, art, and education levels. 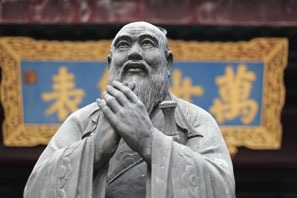 Religions and philosophy featured Neo-Confucianism. Important Song cultural traditions included rice and foot binding. Song achievements in science and technology included advanced Song architecture. The Song Dynasty&apos;s downfall featured its last great military blunders (1234–1299). As described in our Tang Empire (618–907) article, when that stable and cosmopolitan empire collapsed in 906 AD, their territory was divided among newly established kingdoms or by invading tribes for 54 years. This period was called the Five Dynasties and Ten Kingdoms Period (906–960). Most of the west and north of the former Tang territory was taken over by other empires or by nomadic tribes. In the east, by the year 923, there were 8 small kingdoms. It was a period of warfare and turmoil. In the year 960, a general named Zhao Kuangyin of one of the 8 kingdoms, Northern Zhou, rebelled against his own king and the court officials and established a new dynasty — the Song. He took the name Emperor Taizu (927 – 976), and during the next 20 years, he and his son defeated the other kingdoms and so established the Song Empire. Taizu promoted education strongly, and scholarship and education became highly esteemed throughout the Song Empire. Emperor Taizu began reigning over in the year 960. His capital was in Kaifeng. He is known for successful and daring military leadership and as the man who set up the foundations and traditions for the Song Empire to become the greatest on earth in that era. His model of government and rule was emulated by the big empires that came later. During his 16 years of rule, he instituted important successful imperial policies and won his wars of expansion. Emperor Taizu stands out as an emperor who fostered science and education. Taizu was unusual for his time for the extent that he nurtured and promoted the educational system, scholarly rule, and scientific research in his empire. He set up the educational and administrative system not only for the Song Empire, but his educational and governmental policies set the precedent for the later dynasties. Yuelu Academy was one of ancient China&apos;s four main imperial academies. 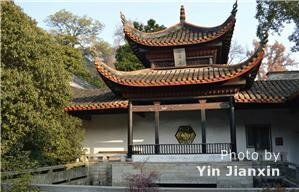 It was built by a Song governor of the Changsha region in 976. 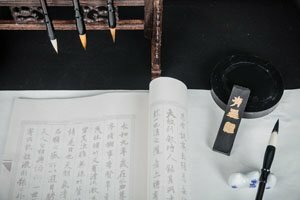 The Imperial Examination System: Taizu is known as one who set the policy that most of the governing officials of his empire should be Confucian Literati who passed a difficult exam called the Imperial Exam that tested mainly knowledge of the Confucian Classics and other ancient literature. He instituted this policy to prove a candidate&apos;s qualification to rule. He staffed his government with well-educated people. He ensured that his educated courtiers and officials had more power in his government than did the military generals or rich lords. This policy stabilized the process of dynastic succession by ensuring that the empire&apos;s administrative staff could carry on their duties when the emperor died. The policy greatly strengthened the empire so that it could endure. His policies helped to ensure that the officials were very intelligent, literate, and loyal to the government. Scientific Academies: He created academies that allowed a great deal of freedom of thought and discussion. These academies successfully nurtured world-leading scientists and officials who excelled in literature, arts, and sciences. Their high level of education helped them formulate beneficial trade policies with other countries and introduce revolutionary new weapons such as rockets and mortars that proved effective in warfare. Their weapons were the most advanced in the world. For about 150 years, the result of the Song wars was stalemate. They couldn&apos;t conquer their neighbors, but they didn&apos;t lose significant territory to them either. So they maintained their territorial integrity, and they were able to prosper in their boundaries until 1127. When Emperor Taizu began reigning over empire in 960, the Liao Empire in the northeast was a military threat. The court also desired the territory of the Western Xia in the northwest. There were conflicts with the Viets in the south. First Taizu and then his descendants tried to address these foreign affairs issues. Instead of just trying to live at peace with these powerful neighbors, they choose to invade with disastrous results. 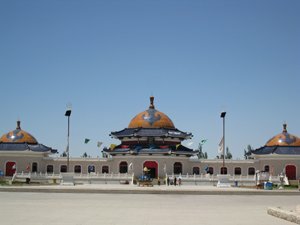 The Western Xia Mausoleum. Ruins such as this one are all the architecture that remains of the Western Xia. The Tangut people had a large kingdom called Western Xia (1038–1227) in the northwest that controlled access to the strategic Gansu land corridor, a huge long valley, that permitted travel and trade on the Silk Road. The Tangut people had been a part of the Tang Empire, but they formed a large kingdom of their own when the Tang Empire disintegrated. As the Song Empire expanded in the late 900s, they resisted them. The Song Dynasty thought that if they could gain the Xia territory, they could perhaps reestablish the lucrative Silk Road trade that benefited the earlier Han (206 BC – 220 AD) and Tang Dynasties. The Song Dynasty managed to win several military victories over the Tanguts in the early 11th century. Then, a leading scientist and scientific writer named Shen Kuo (1031-1095) who wrote a then leading-edge scientific book called The Dream Pool Essays undertook to lead an army against them. This expedition was a disaster, and the Tanguts regained territory they had lost earlier. Tour: The Western Xia is a mysterious culture since little is known about them. 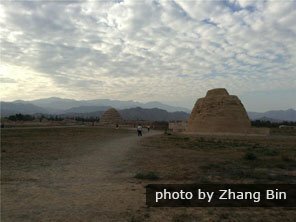 If you would like to see the Xia ruins, there is a special 3-day tour that includes the mausoleum area and the Helan rock carvings … it is a journey into remote landscapes. The Song court, stymied in the northwest, next wanted to expand south to annex the Viet territory. The Ly Dynasty behaved as vassals, but the Song court thought that the country was weak enough to conquer. In response, the Ly Dynasty sent an army of perhaps 100,000 to Nanning and soundly defeated three Song armies. From 1075 to 1077, the Ly Dynasty in Vietnam fought them. This war ended in a stalemate also. Captives and captured land were mutually exchanged. These two failed invasions weakened their military strength and the court&apos;s finances. They may have been key factors in the dynasty&apos;s downfall. The Liao Empire (907–1125) was an aggressive enemy in the northeast. They forced the Northern Song Dynasty to give some tribute in 1005. The Northern Song Dynasty sought to defeat the Liao. They allied themselves with the Jurchens (or Jin) and started a war that ended in their disaster in the year 1125. The combined armies of the Jurchens and the Song defeated the Liao Empire. Then the Jurchens turned against the Song Empire and captured Kaifeng that was the Song capital city. They captured the emperor and much of the ruling clan in 1129. Eventually, the Jin captured about 40 percent of the Northern Song Empire&apos;s territory. A member of the emperor&apos;s clan evaded capture, and he became the first emperor of the Southern Song with the imperial name Gaozong. He evaded Jurchen attempts to capture him and an attempted Song coup. The Jurchens made Kaifeng their capital and founded the Jin Empire (1115–1234). At the beginning of the Southern Song Dynasty, the net result of the Jin disaster was that the Southern Song Dynasty retained about 60 percent of the territory, most of the population, and the wealthy southern trading cities. After a short period of invasion and infighting among rivals, the remnants of the empire arose again south of the Yangtze. The new emperor, Gaozong, set up his capital city in the wealthy and large merchant city of Hangzhou in the year 1132. The location was excellent with a maritime port for seagoing vessels and astride the Grand Canal and internal waterways. The Song rulers retained their domains south of the Huai River and Yangtze along with most of the population. There was a big migration of Han ethnic people from the old northern domains into the new empire. With these strengths, the new empire quickly started flourishing by prioritizing maritime trade and building a powerful navy. Foreign trade was a Southern Song priority, and the government constructed large and advanced merchant and military ships and improved harbor facilities. Along with Hangzhou, Quanzhou, Guangzhou, and Xiamen were other huge seaport merchant cities, some of the biggest and richest in the world at the time, and great wealth flowed through them. Song merchant ships sailed as far westwards as India and Arabia. The trade allowed the Southern Song Empire to continue to be prosperous although they had lost a lot of land north of the Yangtze. The government built an advanced large navy to protect the merchant shipping. They built paddle-wheel ships that were faster and more maneuverable than regular boats in the rivers. They carried gunpowder bombs that could blow up enemy boats. They defeated Jin attacks partly because they had a better navy. They controlled navigation on the wide Yangtze River so it was their defensive boundary. Overall, over the course of 300 years, the Northern and Southern eras of the Song Empire were prosperous. However, the Southern Song Empire experienced wealth and advancement never before seen in history. The population doubled in the 10th and 11th centuries, and science and technology advanced. The Song built several of the world&apos;s biggest cities that had ever existed up to that time. During the era of relative prosperity and peace, agricultural development, commerce, urbanization, and industrialization advanced. 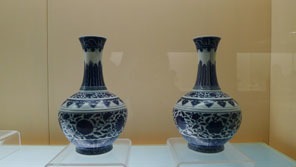 Song blue porcelain was especially prized in the West and Middle East. International trade was a very important part of their economy. The Song Empire enjoyed unprecedented economic growth. Large commercial cities such as Hangzhou grew so large and rich that they astounded Marco Polo (1254–1324), the Italian merchant and government official, when he saw them. He thought Hangzhou was the grandest and most beautiful city in the world. Private trading companies in these giant merchant cities exported Chinese tea, silk and manufactured goods such as steel products. Silk and porcelain were the two most valuable exports. Porcelain: Song porcelain was highly prized in the West. The Song used very high firing temperatures and learned to accurately shape their ceramics and apply such exquisitely beautiful artwork that it was the finest ceramic made in the world up to that time. They also learned to mass produce the fine porcelain. By using huge kilns and bellows, they could bake at extremely high temperatures as many as 25,000 pieces at one time. Iron foundries were established in various places, and using both coal and charcoal, they produced as much as 200 million pounds of iron and steel a year for weapons and tools. Some economists say the Song era was a time of technological and economic revolution. In the Northern Song Empire, the farmers mainly cultivated wheat and millet. But during the Southern Song era, most of the people lived in the south. They applied improved techniques of rice cultivation. Rice became the major food crop, and their increased output enabled the population to explode. New varieties of rice were introduced from the Vietnam area around the year 1,000. According to a Buddhist monk named Shu Wenying, when the Song Emperor Zhengzhong (998-1022) learned about the southern rice varieties, he sent special envoys to fetch them in. These were more drought resistant and ripened much faster than their traditional varieties. So in a year, instead of just one crop of rice, farmers could harvest two or even three crops per year. The farmers were wealthier and better educated than in earlier eras, and agricultural manuals helped to disseminate the best techniques for rice cultivation. The new drought resistant rice from southeast Asia could grow at higher elevations and further north than the native rice. So rice cultivation spread into more areas of the Song Empire. Favorable rules for peasants and farmers: The Song had a law that any farmer who planted on fallow land and paid taxes could own the land, and this encouraged peasants to become landowners. The Song had more land under cultivation than in the geographically much larger and more populous later Ming (1368–1644) and Qing (1644–1912) empires. Some peasants became wealthy farmers. Advanced waterworks: Major irrigation projects and canal building projects using advanced engineering techniques improved agriculture, transportation, food distribution and trade. For the urban elite, food was plentiful. Marco Polo described that the people in Hangzhou, the biggest city, ate surprisingly large quantities of fresh meat and fish. He had never seen such wealth in the West. The Song channeled canals skillfully not only for irrigation but for ease of urban transportation. 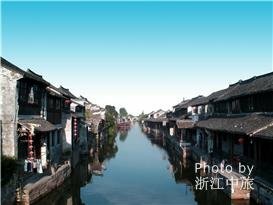 Xitang Water Town, Hangzhou shows how a Song neighborhood looked then. Based on imperial census counts taken during the Western Han Dynasty (202 BC–9 AD) and the Tang Dynasty (618–907), it is thought that the population of both of the those empires was about 50 million or 60 million. If these figures are valid, it means that the regional population growth stagnated for about 1,000 years! The population couldn&apos;t grow. The level of their technology would not allow it, and various wars, famines, and disasters kept killing off the population. It wasn&apos;t until the beginning of the Southern Song era that scholars think that the population in the region first exceeded 100 million. The overall population grew from 50 million at the beginning of the Northern Song to about 118 million 167 years later in 1127, and it kept growing thereafter. Because the geographical area was relatively small, the population density of the Southern Song Empire was the highest in the world for a comparably sized empire up to that time. During the Southern Song era, people learned how to live in several of the world&apos;s largest urban centers ever constructed until that time. By the year 1200, Hangzhou was transformed to be the largest metropolis in the world with 1 to 1.2 million people. The biggest Southern Song metropolises didn&apos;t have walls around them for protection and were more like modern cities. The population probably led the world in literacy and educational level as well. Using their printing technology, their publishing companies mass produced books and literature for popular consumption and education. Urban dweller&apos;s education improved since schools were numerous, and greater wealth allowed the people to have the time to engage in study, reading, artistic pursuits, and travel. Mass circulating books and periodicals became common for the first time in any country, and average people and even farmers enjoyed reading fictional novels. Arts and theater thrived. Theaters, performing arts stages, and teahouses with regular treatrical and musical entertainment became common. Their wealth allowed them to enjoy arts and recreational activities. The arts and theater grew increasingly learned and refined. Classical opera became very popular among the upper classes and the general population as well, even though the actors spoke ancient classical Chinese and not the vernacular languages of the people. They built huge opera houses for that early time of history. For example, the four largest operatic drama theaters in Kaifeng could hold audiences of several thousand people each. Statue of Confucius. Confucian teaching was the dominant religion and philosophy of the Southern Song. During the Song Dynasty era, the religions of Daoism and Buddhism became less popular among the ruling class than in previous eras. Neo-Confucian thought became their dominant philosophy of life and religion. Neo-Confucianism was the religious belief and political philosophy that was developed by Song scholars. The philosophy and religion differs from common Confucianism in that the scholars and rulers elevated rationalism and focused on the role of the emperors according to the ancient teaching of the Mandate of Heaven. Song court officials were generally chosen based on their performance on the Imperial Exam. 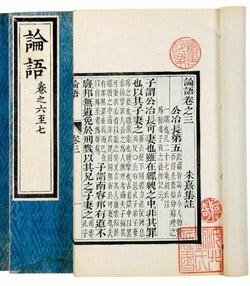 To pass the examination, almost all bureaucrats needed to learn by heart the Four Books of the Neo-Confucian Classics. Those who did the best on the exams memorized the entire texts of the books! The Analects of Confucius was one of the Four Books the highest ranking officials memorized. The Neo-Confucian Classics were the Four Books and Five Classics (四書五經). These nine books were compiled, standardized, and compiled during the Song era. The Five Classics were thought to have been penned by Confucius himself, and the Four Books were thought to contain Confucian School-related material but were compiled during the Song era. The Great Learning, a book about education, self-cultivation and ‘the way&apos; (Dao). The Neo-Confucian doctrines were highly influential among rulers in China and several East Asian countries. It was the philosophy of bureaucrats from the Song era until the end of the Qing Era (1912) except during the Yuan Dynasty (1279–1368) era. The philosophy served to ensure that bureaucrats were loyal to the dynasties. A disadvantage of this political philosophy was that innovative reform and political criticism could be restricted easily by imperial rulers. Innovation and personal freedom was stifled in later eras. Even in modern China, eating rice for meals is still so common and customary that when people say "eat a meal" they say: "chī fàn" (吃饭 /chrr fan/ &apos;eat rice&apos;). 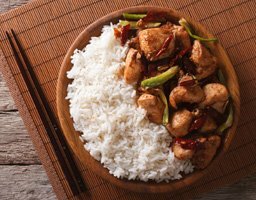 When people think of Chinese food, they usually think of rice dishes. But during the preceding Tang era and before, the Han people mainly ate wheat and millet as their staple grains. The earlier empires developed around the Yellow River in the north where it was drier and colder. Rice didn&apos;t grow well there. But in the Southern Song Empire, rice was abundant, cheap and by far the favorite staple food. Another Song custom that became traditional and even normative in the Han lifestyle was perhaps the most distinctive, painful and destructive tradition of female foot binding. Higher class and richer people began binding the feet of girls. They essentially crippled their girls for life. It was thought that this made them more submissive and signified their family&apos;s status. The custom of foot binding spread to the lower classes and even to peasants although it rendered the girls less capable of doing farm labor or work around the house. By the Qing Empire era, the majority of women except those of the many ethnic minority groups had bound feet. Han people thought that the stunted feet made the women more beautiful. Song scientists and inventors excelled in invention and scientific innovation. However, unlike their influence in developing culture, religion and philosophy, many of the Song scientific advances were lost and forgotten in the later dynasties. The Song era and the Han era stand out as the two dynastic eras in China&apos;s history with the most rapid scientific and technical progress. Song scientists advanced the state of world knowledge about the geography of the empire and of the world, astronomy, magnetism and the compass, mechanical engineering, architecture, chemistry, and other subjects. Shen Kuo (1031–1095) was one of the most important Song scientists. He wrote scientific treatises about his own cutting-edge research and about various fields that show advanced knowledge in several areas. He was well aware of the scientific progress made by his contemporaries and able to describe it well. He was multi-talented. He was a court official and a leading general as well as a scientist. Though he failed in his campaign against the Western Xia, he was very successful as a scientist. Shen Kuo&apos;s Dream Pool Essays of 1088 was a voluminous scientific composition that can be said to contain the forefront of knowledge in his time of astronomy, magnetism and other fields. He is said to have discovered the concepts of true north and magnetic declination towards the North Pole. However, he didn&apos;t discover the compass. It is known that lodestone compasses were used a thousand years before in the Han era. But he was the first to describe the declination of the magnetic needle. This knowledge predates European discovery. 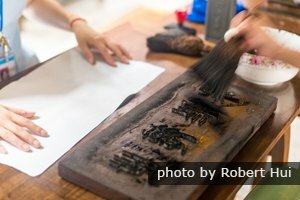 Shen Kuo wrote about how a contemporary printer manufactured and used movable type. The Song inventor of movable type predated Gutenberg in Germany by at least about 362 years. In his Dream Pool Essays of 1088, Shen Kuo described that a Song printer made thin ceramic characters himself. Then he arranged these on a block to form printable text. He said that the method wasn&apos;t useful for printing just a few sheets of text, but for a hundreds of sheets, the method was fast and economical. Movable type printing was one of the most important technologies of world history. But it wasn&apos;t as important an innovation for the Song Empire as it turned out to be in Europe. Their written language used tens of thousands of different, highly intricate and complex, and difficult to shape characters, not the roughly 23 to 33 relatively simple and easy to design or mold alphabetic character shapes used in European languages. It was tedious to make so many characters, and it was often easier just to carve wooden blocks to print with. In Europe, the introduction of movable type printing caused a huge literary, social, religious and political revolution and great cultural change because movable type printing for Europeans was much more economical than block printing. European literacy and culture advanced rapidly. But the Song invention did not affect their culture much. The Song alchemists/chemists were especially good at concocting dozens of varieties of different kinds of gunpowder to use for different purposes. The varieties of gunpowder and gunpowder products were very important inventions. The Song used varieties of gunpowder in rockets including multistage rockets, guns, cannons, chemical warfare weapons, and bombs. Gunpowder became powerful enough to make dangerous weapons. Zeng Gongliang and Yang Weide wrote a treatise called Wujing Zongyao in 1044 that described several formulas for making powerful blasting powder with a large percentage of nitrate. They used blasting powder for mining and other peaceful uses as well. At the end of the Song Dynasty in 1277, the Song army used landmines against the Mongols. When the Mongols won, they used the various kinds of gunpowder weapons in their attacks on other countries. The Pota Pagoda was built in 974 in Kaifeng. Showcasing their technological advancement and wealth, building supertall towers and large monumental structures were a Song forte. The architecture of the Song era was noted for numerous tall structures. They built their tallest wooden pagoda at Bianjing. It was 360 feet (110 metres) tall! But most of their tall towers were built in the capital cities of Kaifeng and Hangzhou. The Song liked to apply a dainty line of the roofs of their wooden buildings so that the eaves upcurved upwards at the corners in a distinctive way. The Song style was adopted as standard by Japanese architects. Some of the Song hexagonal or octagonal pagodas that were built of brick and/or wood still survive. The best surviving example of monumental scale Song construction is the Iron Pagoda in Kaifeng. It was built almost 1,000 years ago in the year 1049 of brick and wood and utilizes the Han people&apos;s highly developed and rugged wooden architecture techniques to withstand the numerous big earthquakes that strike in the region. Over the millennium, it has withstood 38 earthquakes, 6 major floods (one of which destroyed an adjacent ancient temple complex), and many disasters and wars. It is 57 meters or about 186 feet in height. In comparison, the famous Leaning Tower of Pisa that was finished in the 14th century is 183 feet tall. Like the Leaning Tower of Pisa, this tower leans slightly. 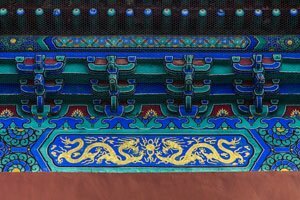 This Forbidden City roof is supported by a dougong flexible joint system. Dougong and other wooden architecture techniques were the Song Empires&apos; major architectural innovation for erecting massive wooden structures in the earthquake-prone region, and their techniques were adopted throughout East Asia. On the 13 story Iron Pagoda for example, the eaves on the outside of the brick core were made by using suitably designed dougong (斗拱 dǒugǒng), a suitably loose joint system fitted for that particular structure, so that the building can ride out massive earthquakes with little or no damage. To fit these joint systems correctly, the Song architects and carpenters had to gauge the likely hazards and stresses the building was going to be face. 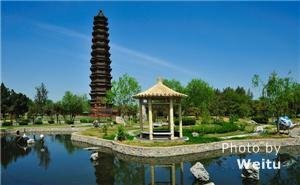 Tours: Two Song-era pagodas, Iron Pagoda and Pota Pagoda, can be visited in Kaifeng along with other ancient Song architecture in Hangzhou such as the Liuhe Pagoda in Hangzhou. 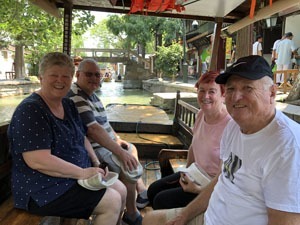 See our 5-Day Hangzhou and Watertown Tour for tour ideas that we can extend for you to include Kaifeng. Not learning from their clan history, the Southern Song rulers repeated the same mistake that destroyed the Northern Song Dynasty: They allied with an expansionistic, more dangerous enemy to jointly attack a weaker, stable, and less threatening enemy. The saying "my enemy&apos;s enemy is my friend" is often wrong. In the year 1234, the Song army joined the Mongol army in attacking the Jin Empire that had been fending off the Mongols for more than two decades. In doing so, the Jin had also been shielding the Song from Mongol invasion. Squeezed between two advancing armies, the last Jin emperor was defeated easily. In 1234, the Song army tried to reclaim the cities of Kaifeng and Beijing, but then the Mongols under Kublai Khan attacked them. 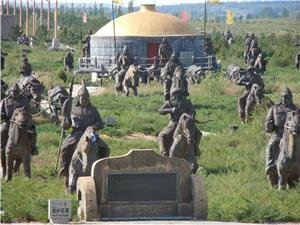 After about two decades more of warfare against the Mongols, the Song capital was taken in 1279, and the Song Dynasty era was ended. The Mongols attacked the Song after the Song tried to reclaim northern cities. The Song weaponry was the world&apos;s most advanced, and they had the greatest population of any empire that the Mongols tried to attack around the world, more than 100 million. The Mongol army that was sent to invade them was far bigger than the ones sent to attack the Middle East, Russia, Europe or any other region, but the Mongols had quickly conquered all the other countries and empires. Only the Song Empire was standing, and it was isolated. But their army of 450,000 could only conquer the Southern Song Empire after battling them for 44 years! After fighting the Mongols for about 20 years, after the Mongols conquered Hangzhou in 1279, the remaining Song court and their supporters took to a fleet of ships to escape the Mongols. There was a giant naval battle involving 200,000 people on a fleet of 1,000 ships against 20,000 Mongol troops on only 50 ships! Though vastly outnumbered, the Mongols won! The Mongols blockaded the fleet so that they ran out of water. The Song ships were chained together, and this made them easy targets. The Mongols maneuvered around the immobile fleet and set the Song ships on fire in the hot, dry weather. The Song Dynasty included two equal-length eras: the Northern Song and the Southern Song. The Song Empire enjoyed unprecedented economic and population growth. The Song Empire was technologically and scientifically advanced. The cruel custom of foot binding the women became popular during the Song era. The Southern Song Empire proved to be the most difficult for the Mongols to defeat out of all the empires they attacked in Eurasia. See more Song Dynasty Facts. Hangzhou tours: The former Southern Song capital has Song-era ruins and tombs. Our popular Golden Triangle itinerary (Beijing–Xi&apos;an–Shanghai in 8 days) can be customized to see the Song sights in Hangzhou, Kaifeng, and for anything else you&apos;d like to do. If you can&apos;t see exactly what you want, you can customize your tour or use our tailor-made service and describe the tour you&apos;d like for a free response within 24 hours.